Do you know BTS? Join us for this Purple Heart Event. 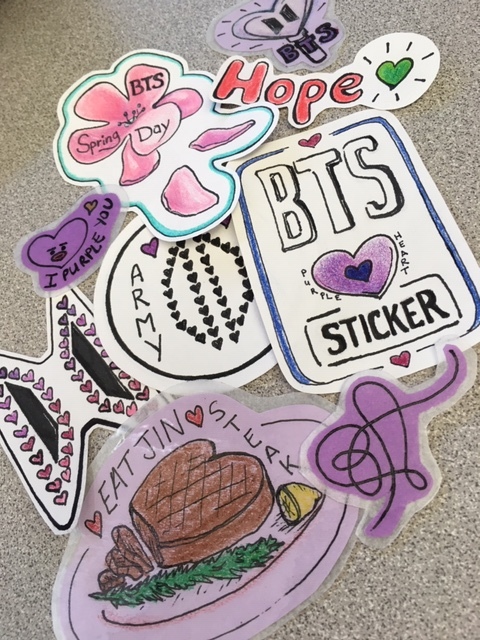 Design and color your very own purple heart stickers on the anniversary of Bangtan's music video, Spring Day; a song inspired by author Ursula K. Le Guin's short story, The Ones Who Walk Away from Omelas. Whether you are new to this worldwide, always extra Korean group or a die-hard ARMY, come enjoy this craft and bust a move to BTS!